PSL, Answer Suncoast, and local community members protest police brutality at the SPD’s National Night Out. “An executive report from the taser showed that a taser was activated 13 times but only one activation shows actual conductivity,” the Sarasota Police Department (SPD)’s social media page said. “The other 12 activations had poor or no conductivity.” This report is from the case of Chad Washington, a man who was tased by SPD officers outside of his home after his fiancé called 911 because of a medical emergency. 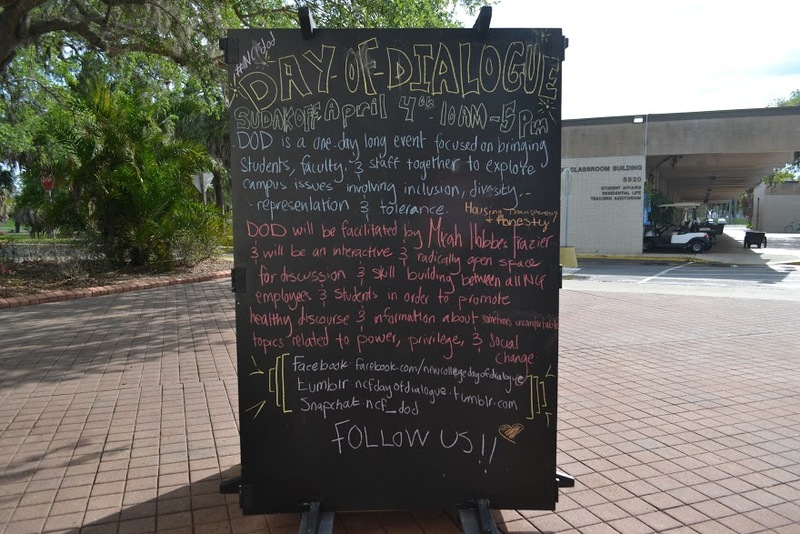 The SPD has been criticized by local social justice groups for using excessive force or unnecessary force when interacting with members of the Sarasota community. One officer in particular, Brandon Vermillion, has been accused of brutality by the public in multiple incidents. Social activist groups, such as Answer Suncoast, the Party for Socialism and Liberation (PSL) and the Black Lives Matter (BLM) Tampa chapter have filed complaints against Vermillion. However, these groups claim that the problem goes far beyond one officer. “We’re looking at an institutionalized pattern and practice of police brutality within the Sarasota Police Department and within law enforcement in general,” Bryan Ellis, an organizer with Answer Suncoast, said. SPD Spokesperson Genevieve Judge responded to a Catalyst inquiry about the multiple accusations of brutality against Vermillion with a link to the “Minutes of the Independent Police Advisory Panel Meeting April 13, 2018,” where the Chad Washington case was discussed, as well as a link to the responses on their social media page. No direct comment about Vermillion was given. Vermillion, a 28-year-old cop in the SPD, has gained a reputation, specifically in the Black community of Sarasota, for using excessive force. Vermillion was sworn in to the department in November 2015. In this past year, Vermillion has been involved in at least three cases where “use of force” reports, as the police department calls them, were filed. These reports are available to the public, but there is a fee of hundreds of dollars to access them. This cost is calculated by the SPD based on how many reports one wants and how long it takes to gather them. “The officer [Vermillion] shot a number of rounds into the vehicle, striking two of the individuals that were in the vehicle,” DiPino said. Vermillion was put on paid administrative leave after this incident, per usual protocol. In Chad Washington’s case, which took place in May 2018, there is recorded footage of the incident. Vermillion and at least three other officers arrived at Washington’s house after his fiancé, Darnesha McMillan, called 911 for an ambulance for Washington. In the video, Washington’s children are heard shrieking and crying as they watch him get tazed from underneath a police car. The response from local community members has been continued calls for the removal of Vermillion and criticism of the police department’s racialized brutality. Community members have filed complaints to the department and staged protests. Members of the PSL have attempted to pull records and Vermillion’s file, but could not gather the information due to insufficient funds. “The [use of force] report is not used to hold officers accountable, it’s used to normalize the use of force against people in the community,” Juliana Gabriel, a member of the PSL and a New College alumna (‘14), said. Information provided to news outlets such as the Sarasota Herald-Tribune by the SPD states that Washington was on “spice” and that Trebbles had been previously charged with cocaine possession. “There is a trend, in cases all over the United States, where the police immediately attempt to justify their actions by dehumanizing the victim[s],” Ruth Beltran, a member of Answer Suncoast and the PSL, said. The question remains as to whether current intoxication or prior drug charges validate physical violence, especially in the cases where the victim is seeking emergency medical attention, as in the case of Chad Washington. The PSL and Answer Suncoast have attempted to file complaints and work within the police department’s existing accountability system. The two committees responsible for apprehending police misconduct are the Police Complaint Committee and the Police Advisory Panel. However, there is criticism about the integrity of these committees. Both committees answer to DiPino, who makes the final decision about what will happen to the officer, regardless of the complaints. Members of social justice groups as well as community members who have experienced or witnessed police violence want to raise awareness among the public and demand institutional reform and proper accountability. Solutions provided by the Sarasota community include developing an independent complaint committee that is not mandated or controlled by anyone in the police department or anyone who is responsible for the behavior of the officers. The most recent protest was at the SPD’s National Night Out on Oct. 2, 2018. 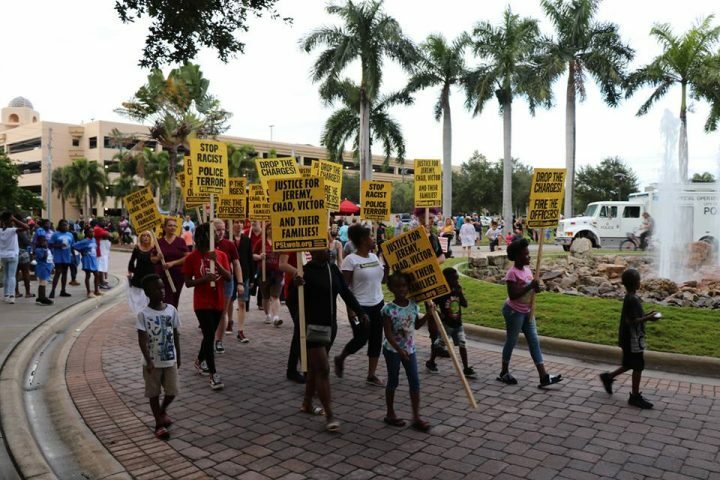 The event aimed to improve relations between the SPD and the local community by letting children turn on the siren and providing food and music as well as shirts that said, “You + Blue.” Answer Suncoast, the PSL and community members marched through the event, calling for the removal of Vermillion. At this time, Vermillion has not been taken off the force. To improve the chances of institutional reform, the PSL stages protests that can be found on the Facebook page for the PSL-Florida chapter. Liberation Breakfasts, hosted by Answer Suncoast and the PSL, also offer ways to learn more about issues of institutional power. These breakfasts are held every third Saturday of the month at 10 a.m. at Newtown Estates Park. Information for this article was gathered from heraldtribune.com, bradenton.com, youtube.com, thelawdictionary.org, wfla.com, abcactionnews.com, liberationnews.org, sarasotapd.org and sarasota.granicus.com.